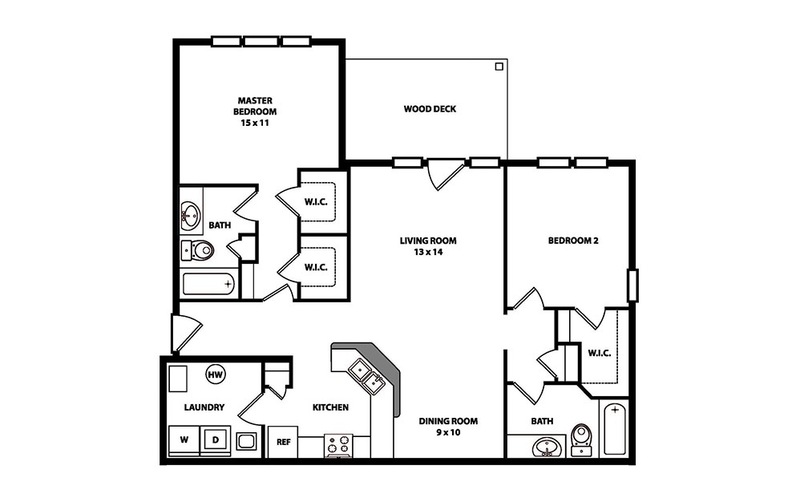 2 Bed | 2 Bath | 1200 sq. ft.
Our 2 bedroom 2 full bath 1,200 sqft apartment in Triadelphia, West Virginia is impressive, to say the least. Large, spacious rooms with an open layout design in the kitchen, dining and living areas. 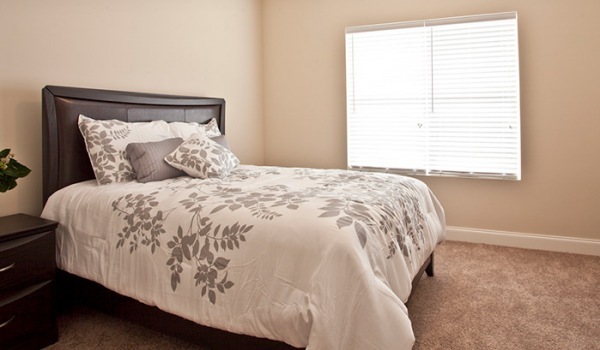 The bedrooms are on opposite ends of the unit, allowing for maximum privacy for you and your family and/or guests. Gorgeous granite counters with a bar-top that is a perfect height for stools, allowing for additional dining space. There is also a large utility room that includes washer/dryer hookups with storage space. Enjoy panoramic views from your private deck or patio. Contact our Executive Leasing specialist for fully furnished options.